WE Cinemas is on the lookout for vibrant individuals. Embark on an exciting and vibrant career at WE Cinemas. 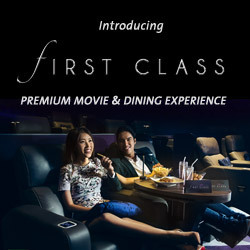 · Several roles available; sell a range of products such as movie tickets and F&B over the Box Office counters, prepare F&B, ushering, waiting on patrons in FIRST CLASS (premium movie and dining experience). · No work experience required. Training will be provided. For Customer Service Staff positions, please walk-in to WE Cinemas at 321 Clementi (Level 3, 321 Clementi Avenue 3, S129905) from 10am to 10pm. Assisting the Sales & Marketing Director in all sales and marketing matters. Responsible for sales and marketing efforts. Responsible for all communication materials; directs the photography, creative direction, writing, production. With strong negotiating skills and ability to close marketing deals, and extremely comfortable dealing at all levels. Knowledgeable of current customers and market trends, and social media. Responsible and resourceful professional who operates effectively with minimal supervision. With excellent and effective communications skills. Good writing skills. Tech savvy, ideally proficient in applications such as photoshop, and able to operate various CMS platforms. Good team player with supervisory experience.